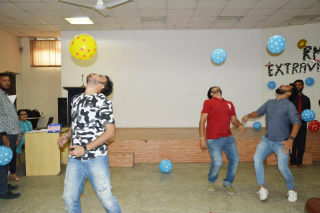 JIMS organised an ice breaking session between the juniors and the seniors of PGDM-Retail Management on 26th July 2017. It was like a tornado meeting a volcano. 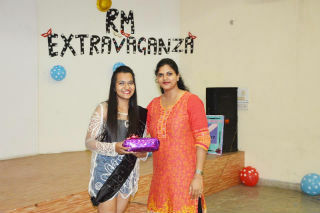 RM Extravaganza was a blast as all the students were full of enthusiasm & excitement. 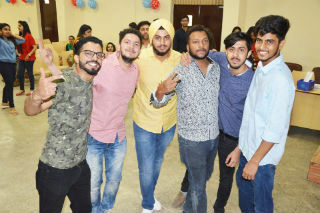 Students of both first and second year contributed to make this event rocking. 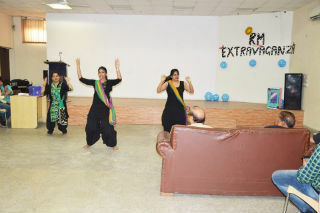 The auditorium was given the splendid ambience by the seniors to their juniors. 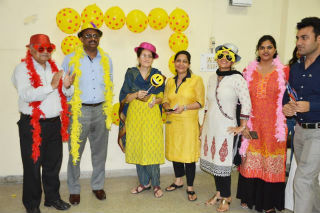 All the students participated with zest, showed up for the event and brought it to life. 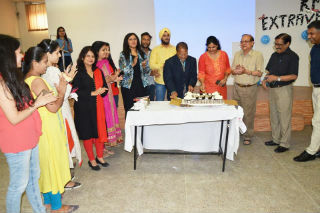 The event was inaugurated by the Director Dr.JK Goyal and HOD-PGDM Retail Management Dr. Deepika Saxena with a cake cutting ceremony. 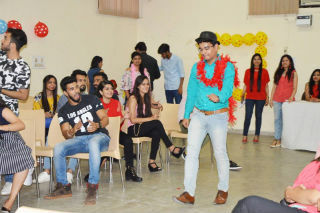 The show started with a phenomenal performance by senior student followed by various performances such as solo song, solo dance, team work exercise, fashion show, tug of war, Mr. & Ms. RM contest, fun activities and games. Everyone danced like party animals on crazy DJ Beats and clicked pictures at spectacular Selfie Spot. Event ended with an amazing dance performance by the juniors. 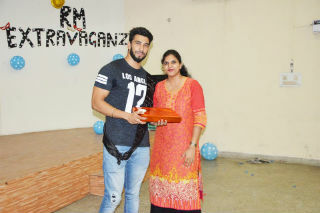 A sincere effort was made by the RM students to make this event a success and we all called it a day with beautiful memories made.